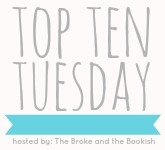 This week's Top 10 Tuesday prompt wants to know, which books are at the top of your summer to-be-read list? There are a few new ones being published this summer, which I am anxious to read -- as well as some older titles, that I am hoping to read before the summer ends. What's on your list? I can't wait to read Fangirl. I need more Rainbow Rowell in my life. The Infinite Moment of Us and Wild Cards are also books that I'm dying to read. I kind of love the look of your entire list to be honest. Oh, Jill Shalvis and Shannon Stacey - how could I forget them on my list? I love their books. Fangirl sounds lovely too. I still need to read her first two novels but heard nothing but good things about them. 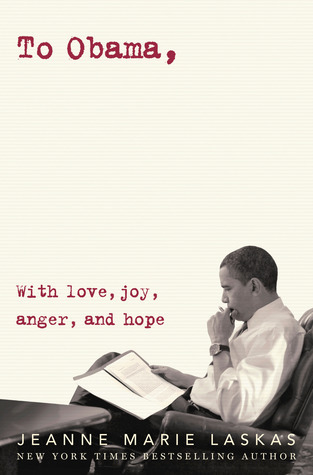 Hope you'll enjoy those books and have a lovely summer time reading them. Fangirl! So exciting, I can't wait to read it as I've heard so many good things from other bloggers (and I loved Eleanor and Park). Oh Fangirl!!! I adore Rainbow Rowell!! Awesome list! I really want to read the top 5 too, I have to go check out the bottom 5 tho! Thanks for sharing! Great list! I want to read Fangirl too. So many interesting titles. Enjoy your summer reading. Oh Fangirl. How I need that book in my life. Soooo much goodness. Fangirl! Read it now! Need to discuss! I am really excited to read Fangirl and The Sound (I just got that double meaning), too. I hadn't heard of You Had me at Hello before, but it sounds great. And I'm happy to see Lovehampton on your list after it was on my TTT list last week! Nice list!! The Infinite Moment of Us looks really good!!! Great picks!! The Infinite Moment of Us sounds wonderful, although I still have Shine sitting on my shelf waiting to be read! & of course, I'm so so excited for Fangirl! I love your list! Starry Nights looks really good, as does Wild Cards, so I'm excited for those to release. I have the first of the Lucky Harbor books on my list, and I'm really looking forward to getting into that series, as I know so many people love it! I feel I need to add ALL of these to my list ASAP! Ooooo I spy a Hamptons book--must add that to my TBR! FANGIRL!! I really liked it! I still need to read Attachments. I should have added that one to my list thinking of it now. I know how much you loved that one! And yay Starry Nights and Wild Cards!I def hope to get to both of those soon. All of your reads look so summery! I too am excited about Fangirl. And Starry Nights. And Wild Cards. They all sound SO GOOD. I can't wait for Starry Nights and the Infinite Moment of Us! Lauren Myracle is an amazing author. Fangirl looks adorable- I actually just got Eleanor and Park today.